London - Arsenal manager Arsene Wenger is not expecting his Manchester United counterpart Jose Mourinho to set his team up defensively when the sides clash on Saturday despite his reputation for "parking the bus" in big matches. United travel to the Emirates Stadium sitting second in the Premier League and on the back of a 4-2 win at Watford in midweek. 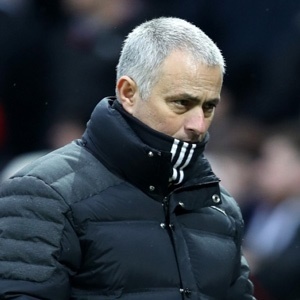 But Mourinho has yet to win an away game against a fellow "big six" side since taking charge at Old Trafford, with seven games at Chelsea, Arsenal, Manchester City, Liverpool and Tottenham yielding just three points and one goal. That run includes a 2-0 defeat at Arsenal last season as Wenger recorded his first competitive victory over Mourinho at the 16th attempt. The pair have shared a tumultuous relationship over the years but Wenger does not believe Mourinho, renowned for his defensive tactics in such matches, will only be eyeing a clean sheet in north London this weekend. Asked whether he expected Mourinho to park the bus with a defensive outlook on Saturday, Wenger replied: "No, I don't expect anything special. "I just expect us to be ready to recover now. Man United is a strong team and I expect us just to cope with the problems they will give us. They will attack as well. They will not only defend. "It is a game between Arsenal and Man United at home. I just want to focus and to prepare well my team, and give my team a good chance to win the game. "Man United is doing well at the moment, we are doing well at the moment, so it looks to be a promising game." Arsenal welcome United having won their previous three Premier League games to move into the Premier League top four. Victory in the north London derby at home to Tottenham was followed up with a last-gasp win at Burnley before Huddersfield were dispatched 5-0 at the Emirates on Wednesday. That was a 12th successive home win as Alexandre Lacazette, Alexis Sanchez and Mesut Ozil all got on the scoresheet while Olivier Giroud hit a brace. It was not all positives for Wenger, however, as Lacazette was substituted at half-time with a groin injury, while Sanchez was also replaced late on after feeling his hamstring. Wenger expects Sanchez to be fit to face United, but said club-record signing Lacazette will "certainly be out" of the contest. "Sanchez had a little hamstring problem, that's why I took him off, but I think he will be all right," he said. "Look, we have offensive weapons, you know. We have Danny Welbeck, we have Giroud, we have Jack Wilshere who all came on. They are all offensive players.